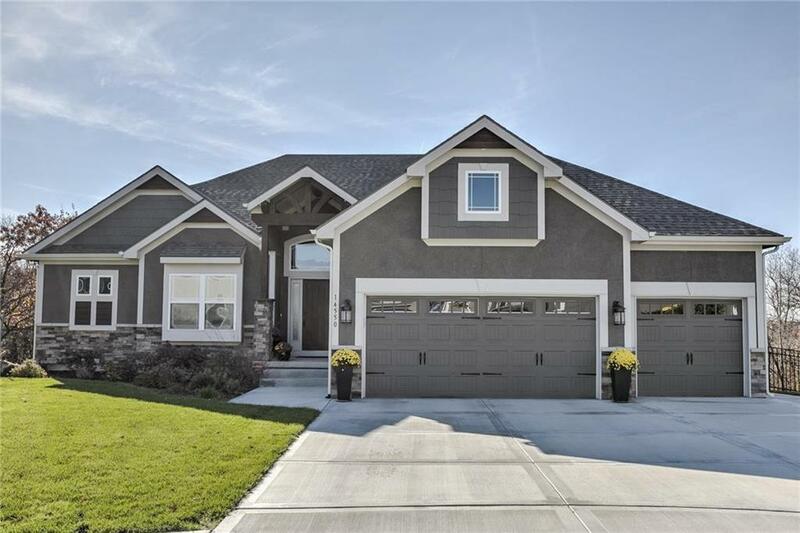 Stunning Reverse 1.5 is full of custom features & sits on a wooded cul-de-sac lot. Full of class, details and character! Spacious home with large kitchen with walk in pantry, pained cabinets featuring marble counters on the island. The vaulted ceilings and soaker tub in the master bath are pure luxury. Great room features stunning fireplace w/ floor to ceiling stone and built-ins. Entertaining at it's finest in the lower level w/ wet bar, fireplace. Relax on the covered deck with a view! This home is a must see! Directions: From 152 go South on K Highway to right on Brink-Meyer. Left on Nevada to Summit Ridge. Home is located straight ahead in center of cul-de-sac.